When it comes to family finances, somebody is watching you especially when you have children in your life. My name is Laurie and I’m married with 4 kids, 3 girls and a boy. We live in the upper Midwest and have recently begun a journey to achieve financial sanity for our family. Welcome to a glimpse into the life of a formerly financially irresponsible couple who have vowed to make changes to the way they handle their money. After 16 + years of marriage, we finally “got the picture” and began managing our family finances in a responsible manner. Three months into our “journey to debt free” things are going slow, but they are indeed moving in the right direction. Part of our journey to financial responsibility has been to assess how we came about making such a mess of our money in the first place. When we took a look back at the interesting ways our parents handled money, it gave us an eye-opening look as to part of the reason we were never very good at handling our finances. You see, your kids, they’re always watching you, for better or for worse. This is why setting a good example for them is a pertinent part of raising responsible children. Whereas most of us do our best to behave well at work, we often think we can “let our hair down” at home, and be lackadaisical in how we treat our family, or in the habits we partake in. But the kids are always watching, whether they let on to this or not, and the things they learn from their parents will likely carry on into adulthood, in one way or another. As my husband and I worked to figure out exactly where we got the idea that we could be financially irresponsible with our money, one road pointed back to our parents and how they handled their money. 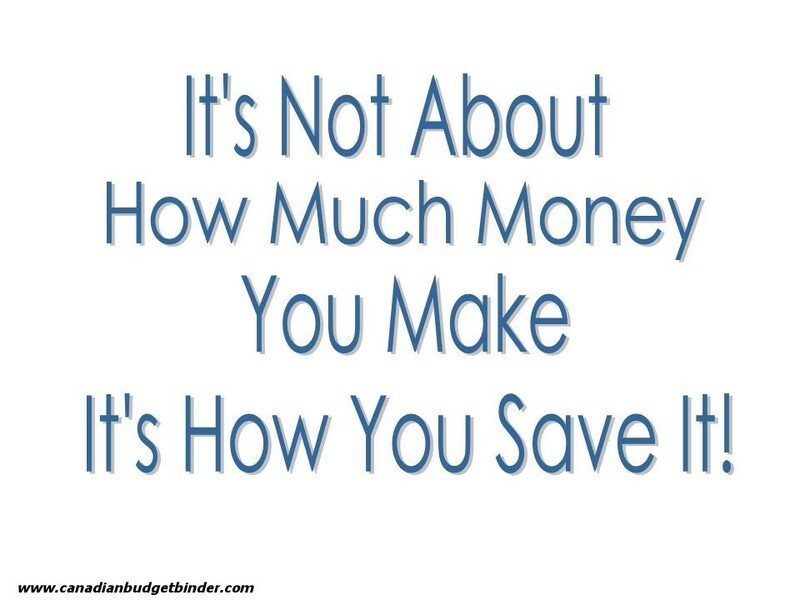 Money is for spending, not managing- My husband and I have wonderful, loving, supportive parents. However, neither my husband nor I can remember much in the way of responsible financial decisions from our parents when we were kids. There were no savings accounts, and every dime (and more) that came in, promptly went out on whatever it was that our parents wanted to have. Not that they never said “no”, it’s just that the goal of having money was to spend it and to accumulate “stuff”. Money is a private matter- Even though none of our parents believed in letting the kids in on the financial order of their homes, enough “discussions” were overheard that we both knew that the money situations weren’t good. Because our parents didn’t believe in discussing money matters with children, we had no idea how to avoid the mistakes our parents had made. Money is to be feared- Along with the money troubles that plagued our families growing up, we learned that there was never enough money, nor would there ever be enough money. That’s simply how it was in our families. There was an unspoken rule that although some people were “lucky” enough to have what they needed and more in terms of money, that this wasn’t the case with our families, and we got the message that there wasn’t anything that could be done about it. Thus, fear of having money, not having money, and not being able to buy what we needed (or wanted) to buy gave us both an incorrect view of money in general. Obviously, the above statements about money are false, but they were the only truths we knew in our world, and belief in those truths led to a mess of a situation with our own family finances. Ironically, we both handled our misunderstanding about finances in different ways. My goal with money was to make sure that I had the ability to buy whatever I thought I needed or wanted. I learned quickly that the “have nots” were not as popular or accepted as the “haves”, so I purposed to become one of the “haves”, with little or no regard to the impact it had on my finances. Living pay-check to-pay-check and having credit card payments were a regular and normal part of life, and I was OK with that, as it allowed me to have the appearance of being one of the “haves”. My husband handled his fear of money completely the opposite way. He hoarded money like crazy. When Rick and I first started dating, he had just moved from his $6 an hour job to a $12 or so an hour job, yet he had a savings account that amounted to more than $20,000. Now, that’s some serious hoarding. After we got married though, Rick, who’d had a poor role model with his abusive alcoholic father, wanted me to manage the family finances. For my part, that was fine with me. I didn’t want to be left with nothing as my mother was left after her divorce. I needed to be “in charge” of things. Unfortunately, though, “in charge” meant a lifestyle of continuously spending beyond our means. Although Rick didn’t agree with my means of financial management, his father’s tirades had left him fearful of confrontation, and he avoided arguments whenever possible. Suffice to say, though, that our improper ways of handling our marriage and our family finances led to the mess we’re in now. We’ve never borrowed money from family or friends, but relied solely on credit cards. Yes, we did consider bankruptcy, but we wanted to give responsible money management a serious try first. We fought about money for years. The stress of a ton of debt and no relief in sight really does take its toll on a marriage, but we were and are committed to keeping our family together. And now that we’ve got a plan and are on the same financial path, we are happier than ever. This may lead you to wonder: Do kids who come from homes with poorly managed finances always repeat the cycle, and if so, why or why not? In questioning family and friends on this subject, I received a myriad of answers. It seems that everyone has a different of opinions about whether or not how they handle their finances is a result of what they learned at home. Where does the responsibility lie? So, who is responsible for teaching our kids about money? Should we leave it up to the parents? Should the education system play a role? I believe strongly that the education system has a responsibility to teach our children about proper finance management, both at the elementary and secondary levels, as well as post-secondary levels. The basics of how to create and live on a budget, use a cheque book and avoid debt are easily taught by the right teacher. And we all know that many parents don’t teach kids about finances, so if in a particular family money isn’t talked about, at least the school system would be there to teach children the basics. We also teach the kids a more responsible way of handling finances by giving them a weekly list of chores, and then paying them at the end of each week. The requirements in our household are that they put 10% of each week’s pay into a savings account, and 10% into a giving account, and then manage the other 80% as they please. Also, our current stringent budget means very little entertainment money, so it’s been fun to watch as the kids save their money so that they can partake in fun activities that aren’t currently in our budget. And the kids get excited about money as they watch their savings grow and as they earn money on their own to do the fun stuff that we can’t afford right now. My husband and I, through much education about family finance management and a lot of hard work are finally on the same page regarding money. His fear of money is slowing dissipating, in large part due to the fact that I’ve come to face my own money mistakes and the reasons for them. Today we manage our finances frugally by budgeting, tracking our spending, and meal planning, which helps us to feed our family of six on under $450 a month. We don’t use much in the way of coupons because we don’t eat alot of processed food, but instead grow and preserve many of our own veggies, and make most stuff from scratch. We are happily living a super-frugal lifestyle, with the common goals of reaching financial independence and focusing on value-based spending. Value-based spending, which is simply making spending decisions based on what’s most important to our family, helps us to curb wasteful spending and make sure our money goes towards the things that matter most to the well-being of our family. Sometimes it’s tough, on an emotional level, to not spend on “fun” things, but we know we’ll be doing our marriage and our family a great service in the long run if we simply buckle down for a few years.No matter what the influences are that may have caused you to manage money irresponsibly, you can overcome them and create a better financial life for yourself, so start today. Post contribution by: Laurie B. I practice frugality with my husband, 4 children, 2 horses and 3 cats on a 7-plus acre hobby farm in the Midwest. Here we are learning to be self-sufficient and to achieve the financial peace that comes with being debt free. I also blog about money and about life on the farm at The Frugal Farmer. Subscribe to Canadian Budget Binder>> Everyone else has, why wait! Great writing, Laurie! had to check it out after I read on your blog that you were guestposting here. You`ve been through so much financially, and I think it`s great that you`re taking responsbility and managing your debt! Thanks, NG! It’s only because of the tremendous help of people like Mr. CBB, yourself and SO many others that we are still working at it. I really, really appreciate all of your support! Great post. The main thing I hope people take away is that they need to have a different attitude about money. If we view money differently than we are now, we’re going to change everything else about it as well. Money is such a huge part of our lives we can’t allow ourselves to worry, wonder, get upset , be afraid etc of it. And while we’re at it, I hope everyone takes a page out of your playbook and opens their children up to money discussions at a much earlier age, it will pay off in numerous ways for them in the future. SO true, Alice! Can you imagine our financial future if everyone would open up about money in this way? The benefits are immeasurable! Great post Laurie, you have outdone yourself. My view is that teaching kids about finances should be done both at home as well as in schools.It is too much of an important topic that impacts on so many parts of your life for it to not be taught in both locations. Glen, I so appreciate your encouragement! I agree with you about financial teachings: a partnership is the best approach. You’re right: it’s too important for us to let it slip through the cracks, either at home or at school. Thanks for the input! We must have had the same parents 😉 Mine totally taught me that talking about money is taboo and money is to be feared (fear or not having money, fear of losing your job, fear of taking a new job because the money might not be as good). Love it that you’re setting a different tone for your kids. Money should give you options, not make you scared. Wow, KK! And I’ll bet that the parents instilling these “values” of fear in their kids don’t even realize it! I had no idea that fear was such a predominant emotion where dealing with money is concerned! Great post Laurie. I have to admit I’m a little worried now though 🙂 Kids are so clever and my two toddler boys are picking up our habits already, the good and the bad. There’s nothing like kids to make you change your ways! Adding it into a math class is a great idea! Yes, you are right: “didn’t learn” is more appropriate. It just wasn’t talked about in those days! Thanks, Christine! Ah Laurie, beautiful post. You are at the beginning of your journey to financial freedom, but it will move faster than you can even imagine, especially with you having such a positive attitude and clear reason why to do it. You know my feelings on how kids observe their parents already and your kids are seeing their Mom and Dad step up and do the right thing is something they won’t forget. The best lesson my father ever taught me about money was that it is emotional and his wisdom holds true today. You and your husband are breaking free from those old emotions and I’m very proud of you. I was raised much the same way and learned my money lessons the hard way, as an adult. That having been said, I do take issue with the expectation that teaching personal money management skills should be part of our public education curriculum. Public education bears an increasingly heavy burden of expectation that it will provide skills traditionally taught at home, while at the same time the public complains long and loud about the increasing cost of running our schools and about the wages being paid to the teachers upon whom we increasingly rely. I also read and hear a lot of complaints that basic learning skills such as literacy and numeracy are not being adequately addressed. You can’t have your cake and eat it too: Public school was originally conceived to provide the educational basics and still needs to focus on this core curriculum in order to provide our kids the tools they need to move onward in their education and, subsequently, in their careers. We need to stop expecting our teachers to “parent” our children and assume responsibility for teaching them life skills like money management ourselves, at home. You seem to be doing a great job of leading by example at home. That, more than any other thing, will help your kids approach money management in a positive, constructive way as adults. I guess for me it seems that basic skills would include (a) having the math skills to be able to add, subtract, multiply and divide as required to do financial transactions, (b) knowing what money is and how to recognize and count the various denominations, and (c) having the ability to transfer the math skills you acquired in (a) to the medium of the currency you learned about in (b). These are the money skills children should be provided in school, in the younger grades. The teaching of financial skills in the higher grades is already provided in the form of business courses, basic accounting classes, and life management skill courses. It is also often taught as part of home economics courses and computer skills courses. Kids are also given background on how finances shape our lives through history courses, and social studies courses. Public school teachers do not, and I think should not, provide advice or guidance on how individuals should be managing their own money on a day-to-day basis. Those decisions are not simple matters, nor are they basic education. They are as complex and individual a thing as any personal matter could possibly be. Guiding financial decisions from within a classroom would, in my eyes, be akin to teaching religion; the purview of private schools where parents choose to pay extra money to have their personal philosophies reinforced at the school level. At a public school, personal financial decisions are too individual and personal to be an appropriate subject of instruction for the wide range of cultural, social, and personal circumstances encountered within the student body. I’m not saying that kids don’t need to learn sound financial management, nor am I suggesting that they don’t need to understand the whys and hows of money. I just don’t think that it is the job of our schools to teach financial prudence, any more than it is the job of teachers to teach morals, religion, or common sense. These are things children should be taught, and have reinforced, on a daily basis at home. It’s great to hear more about your background. My family was always good with money, and didn’t spend too much, but they also didn’t ever share financial education with us. It was kind of like, “You don’t need to worry about stuff like that, just get your education.”. My husbands family had very poor financial habits, mostly due to my father in law and his issues that seem similar to your father in law. Although we both came from different styles of money management, neither one of us ever learned how to manage money and stay out of debt. Like you said, it’s “normal” to be in debt, so we joined right in. You can be the best money managers you want, and the kids might see and enjoy that, but you have to show them how it works as well. We totally intend to do that and have already started with our daughter. It does make family life much better when everyone is on the same page and the big pink debt elephant isn’t hiding in the background anymore. My parents tried to teach me better money habits then they had. When I got my first job in high school, the requirement was that I save at least half of it. Too bad, the lesson never really stuck! This is something that I wrote about last week. Who is to be our financial mentor? I think parents need to take up the responsibility with the educational system being the supplement. Having it on both sides will ensure the best possible outcome. That was an eye-opening blog post, Grayson. Yes, it would be great if parents took the lead and the education system was a supplement. We can only hope! Its amazing how much kids learn from watching. I’ve also noticed when parents have different takes on finances – especially divorced parents it makes it even harder on the kids to figure out what is the “right” thing to do when it comes to money. You’re so right. Our parents were divorced too, and the mixed messages are really confusing. Thanks for the thoughts, Cassaundra! Great post Laurie! I could not agree more on kids watching you. They really are sponges, which just makes our responsibility that much more serious in my opinion. I was raised to view money in a similar way and paid the price for that. Not that I blame my mistakes on that as I made my own choices, but it certainly did not help. Our hope & plan is to raise children that have a healthy respect of money and ones that can manage it wisely. We are right there with you, John. The good news is that both of us are re-writing our family trees! Thanks much for the encouragement! Great post Laurie. Glad to see the next generation will not get the same money values your parents gave you. Impressive how you can mess with a child’s life without even meaning it. I can relate to the whole “parents didn’t teach us about money” thing! My parents didn’t either, and I made some financial mistakes that could have been avoided. But with my daughter, I am going to make sure she knows how to handle money and all the responsibilities that come with it. That’s so great that you’ve chosen to educate your daughter on handling money. IMHO, it’s one of the best gifts you can give a child.